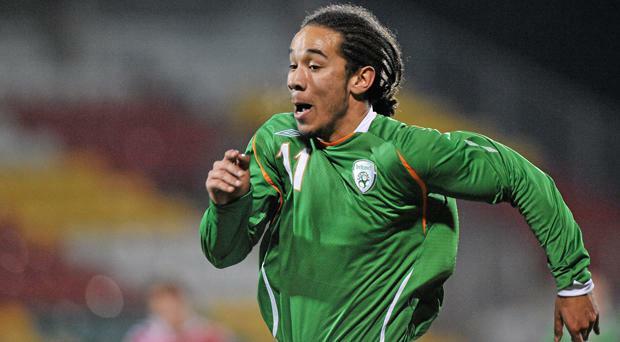 Northern Ireland manager Michael O'Neill will try to persuade former Republic of Ireland under-21 player Sean Scannell to switch international allegiance. The Huddersfield Town winger qualifies for the North through his father, who hails from Armagh, and O'Neill is keen to get him on board. The fact that a number of players like the Derry duo of James McClean and Shane Duffy have opted to row in behind the team south of the border is a source of frustration for many in the Irish Football Association. O'Neill, who signed a new four-year deal earlier this month, is hoping to convince London-born Scannell to move in the opposite direction. Scannell's agent Eric Waters told the Sunday Times: "There is genuine interest but nothing has been confirmed as yet about Sean playing for Northern Ireland. "I'm sure that Sean will look forward to having a conversation (with Michael O'Neill) when the time is right."